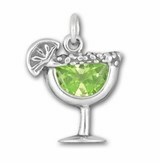 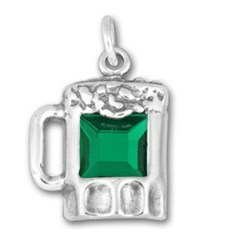 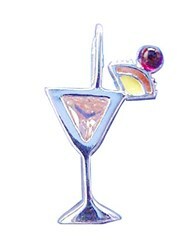 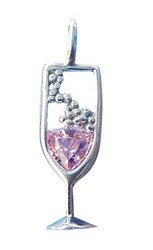 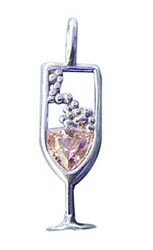 Sterling Silver Tall Glass Red Cubic Zirconia Bloody Mary Beverage With Green Celery Stalk Cocktail Drink Pendant. 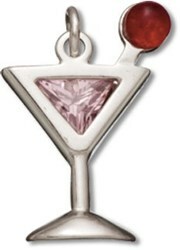 Stone Size: Length: 3/8" Width: 1/4"
Description: Sterling Silver Tall Glass Red Cubic Zirconia Bloody Mary Beverage With A Light Green Enamel Celery Stalk Decoration Drink Cocktail Pendant. 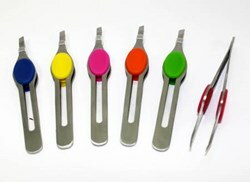 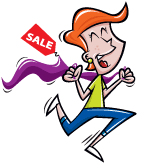 Attached Dimensions: Length: 9/16" Width: 9/16" Thickness: 1/16"